Clementhyme is an amalgamation of clementine and thyme, two of the best ingredients for a fresh sweet cocktail bursting with citrus and herb goodness. This cocktail is super easy to make though it takes a bit longer than other cocktails because you have to make a simple syrup first. But the results are totally worth it. The clementine juice gives it a lively tropical flavour while the thyme adds a nice freshness to it. To these two, add just a bit of vodka for that relaxed afternoon-at-the-beach feeling. 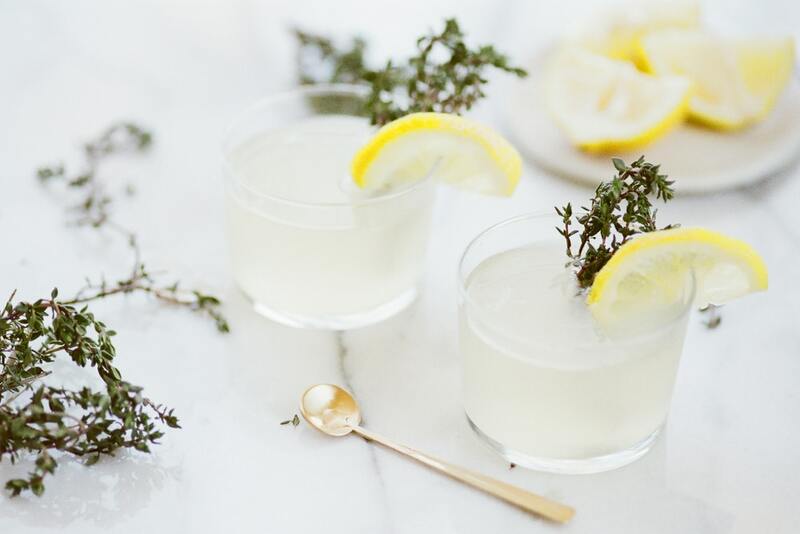 If you are looking for a sweet pick me up, give this clementhyme cocktail a try. Here’s the recipe. Here is a quick summary of the ingredients with a few notes on each below. This is the main sweetener for the cocktail. It balances out the slight acidity of the clementine juice. If clementine juice tastes sweet enough on its own, you don’t have to prepare the syrup. Just mix the other ingredients and garnish with a sprig of rosemary. If you like your cocktail on the sweet side, the syrup is worth the extra few minutes it takes to get this cocktail ready. Thyme is great for garnishing. But it’s even better for adding a fresh flavour to the cocktail. It goes really well with the citrusy flavour of clementine. To get the most out of it, add it to the warm syrup. The heat extracts more flavour from it than if you just added a few sprigs to the finished cocktail. If you are not a fan of thyme or you can’t get it, you can also substitute it with mint, rosemary or even lavender. Vodka is a popular choice for cocktails. It mixes well with other drinks and goes great with the fruity flavour of clementine. But there are many other liquor options to choose from. Whiskeys, gin, rum…whatever you prefer. If you are feeling a bit adventurous, you can even mix two liquors like bourbon and gin or tequila and vodka. But using two liquor bases is tricky. You may need to experiment a bit before you hit the sweet spot. You can get boxed clementine juice from the store but I recommend freshly squeezed juice instead. It tastes so much better. For a single glass of clementhyme cocktail, you need about three clementines. This will give you about half a cup of clementine juice. Have one extra clementine for garnishing the cocktail. Start by preparing the syrup. Mix the sugar and water in a small saucepan or pot, add 2 sprigs of thyme and heat them on medium. Heating allows the sugar to completely dissolve in water. As soon as the mixture turns clear, get it off the heat and let it cool. Leave the syrup to rest for around 20 minutes. This gives the thyme flavour time to infuse into the syrup. Strain the thyme-flavoured syrup into a cocktail shaker. Then add the freshly squeezed clementine juice and one shot of your preferred spirit. Shake and then pour into a cocktail glass with ice. Garnish with 2 slices of clementine and a sprig of thyme. You can use any type of ice but clear gourmet ice is best. This is the type of ice you get with your drink at an upscale bar. It is clear, rather than cloudy, and hard. It melts much slower than ordinary ice cubes. You can enjoy your cocktail leisurely without worrying that the ice will water it down. We’re dedicated to helping you find the right products for your kitchen. If you’re in the market for the very best range cooker or quite simply want a better bread knife, you’ll find what you need here with us. We’ve sat down with industry experts, gathered reviews from people and own and use the products every single day and we’ve even tried and tested many of the items ourselves. We’ve hand-picked our top choices saving you time and money. TheWhiskingKitchen.com is a participant in the Amazon EU Associates Programme, an affiliate advertising programme designed to provide a means for sites to earn advertising fees by advertising and linking to Amazon.co.uk. © 2019 The Whisking Kitchen.